If you are a medical aspirant, as you know these days, thanks to Digital India, the traditional coaching classes are not the only way to prepare for medical entrance examinations like NEET and AIIMS. With the rise of good internet speed across cities and towns, it’s now possible for medical aspirants to learn and prepare for their target exam in online mode from best teachers (including IITians, Doctors) from any part of the country. NEET online preparation is becoming a convenient and affordable option for medical aspirants. When you search for NEET online preparation, you will get variety of online courses in the form of online classes, video lectures, tablet programs (like iTutor) or App based tutoring. You need to choose the online preparation method that will provide you maximum benefits so that you can clear NEET or AIIMS with very good Rank. Active (Interactive) participation of student and teacher, e.g. Live Online Classes. Passive (one way) learning for student, e.g. video lectures, tablet courses or mobile apps. Anyone can tell that the first option i.e. 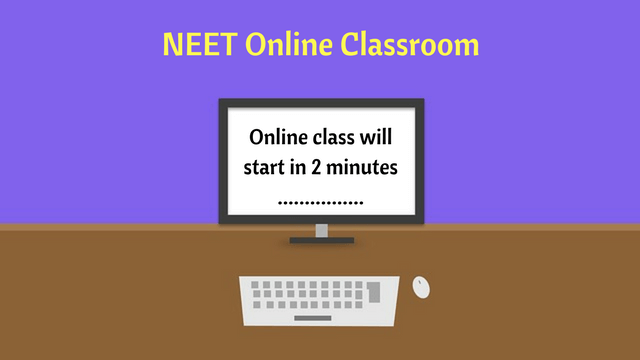 Live Classes are the best way to prepare for NEET medical entrance in online mode. Online interactive classes will give you the feel of a regular physical classroom where you can ask your doubts from the teacher. The communication is two-way. You can be a part of a batch or can even study one-on-one, using a computer/laptop and internet connection. Video lectures or App/Tablet courses can never replace a two way live interaction between a teacher and a student for NEET (or any competitive examination) preparation. 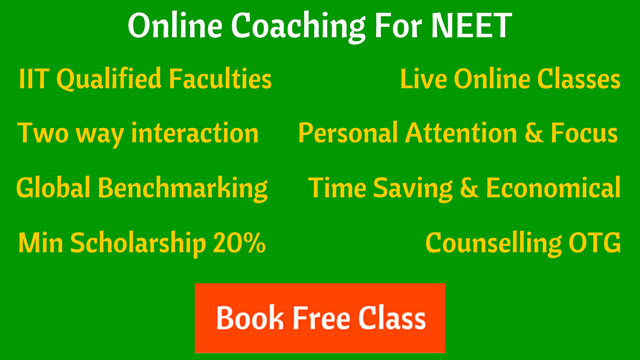 Some other benefits of Live Classes in NEET online preparation – Short batches, recordings of the live classes available for future reference, doubt removal classes, personal monitoring, online test series, performance analysis and regular counselling. Which online course is best for NEET, AIIMS aspirants? If you are looking for NEET/AIIMS online preparation, don’t get lured by Apps and Tablet courses. There is no substitute to an “interactive class with a teacher”. The traditional coaching classes are now available in digital medium (Online Coaching for NEET). Before you join any online course, make sure you take a note of some key points. The most important thing to confirm is that it should be a two way communication between the teacher and a student. Interaction between teacher and student in a class is very important. The online class should not feel like a broadcast channel. Take a demo class, and if you are satisfied with the quality of the teacher and the platform, next step is to clear all your queries about online course. You need to clarify about study material, doubt removal sessions, practice tests, performance analysis, student assessment, everything in advance before you enroll for any online course. Remember that the one which is promoted as “best” may not be the best fit for you. Better check the quality first and then decide. By replacing all States CETs, NEET has become a single medical entrance examination for all medical colleges (except AIIMS and JIPMER). The aspirants from various State Boards needs an effective preparation for NEET. Online NEET classes does this very efficiently. The experienced and qualified teachers for NEET will teach you in online mode at the comfort of your home. If you are interested in NEET online preparation via live classes, then checkout a free demo class from Mystudycart. It will help you in assessing the quality of teaching and understanding the online platform.